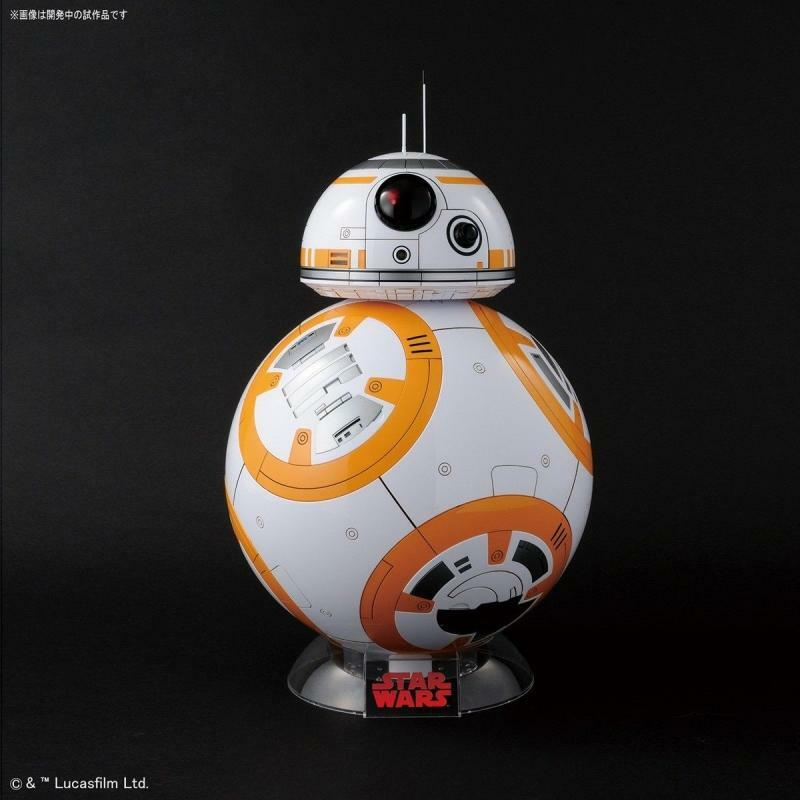 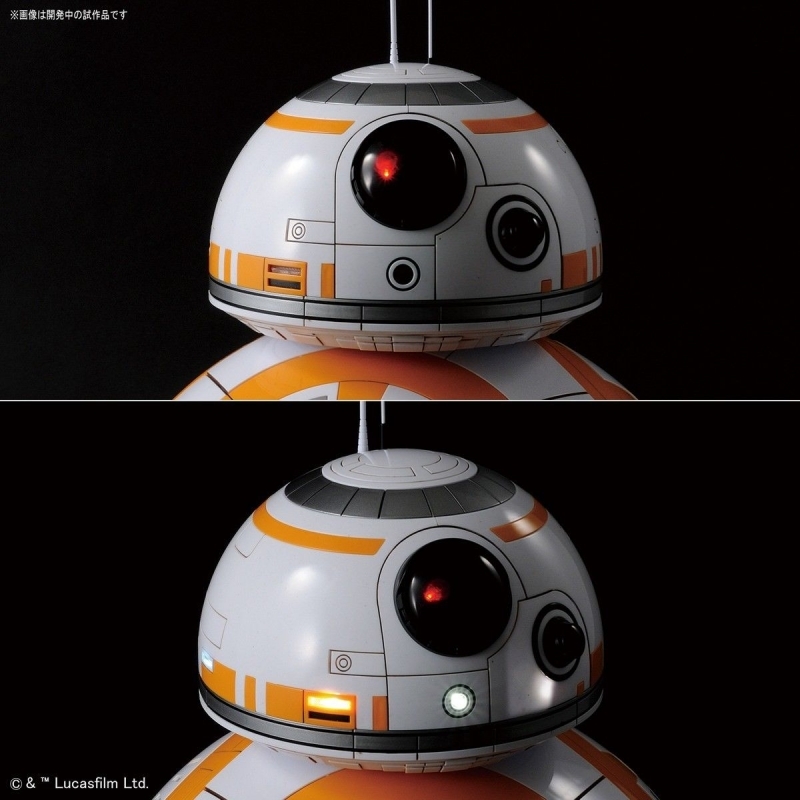 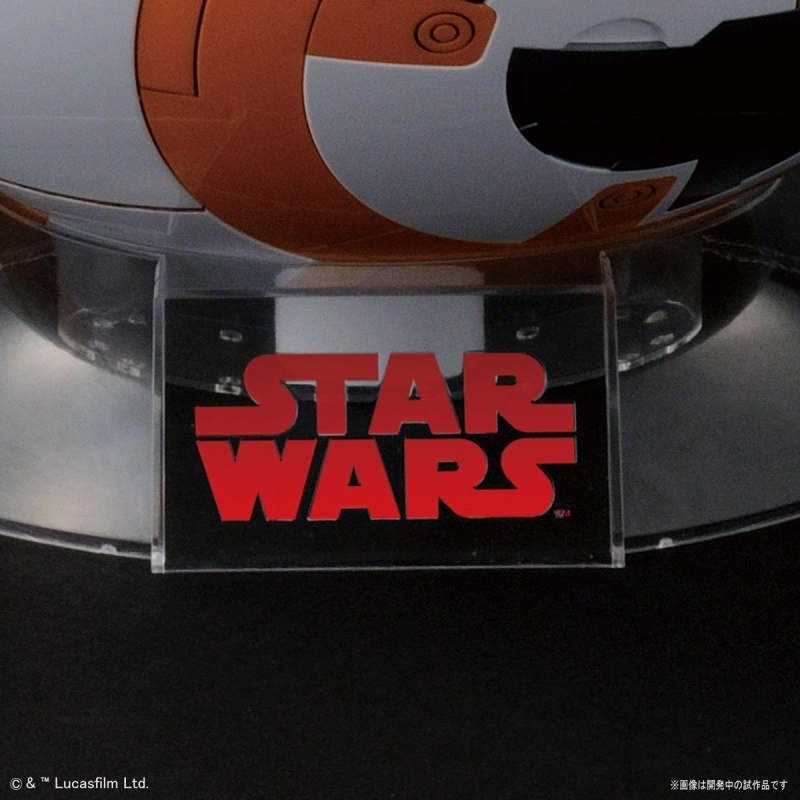 YES, we finally get a big BB-8! 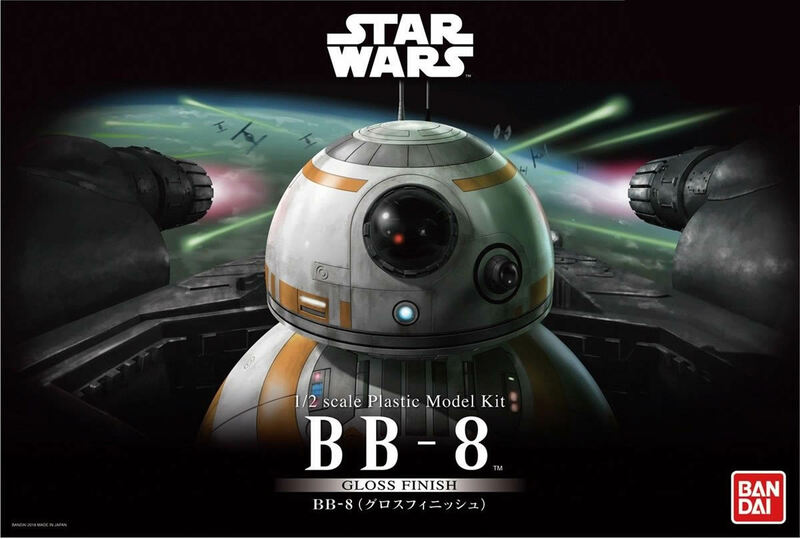 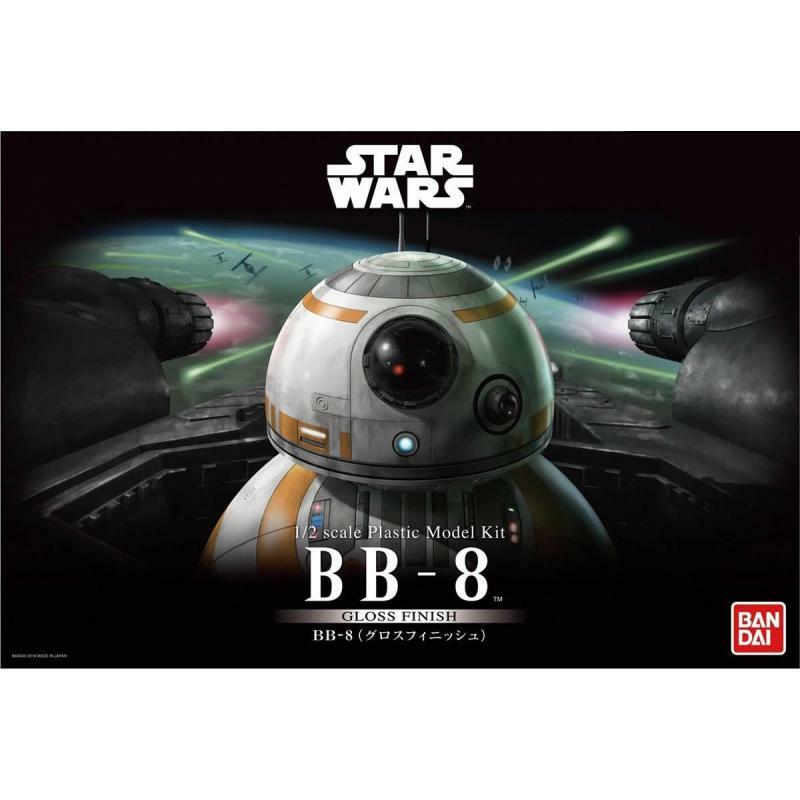 This beautiful kit utilizes glass-finished plastic for a shiny look right out of the box, and all the minor details of BB-8's surface have been faithfully reproduced. 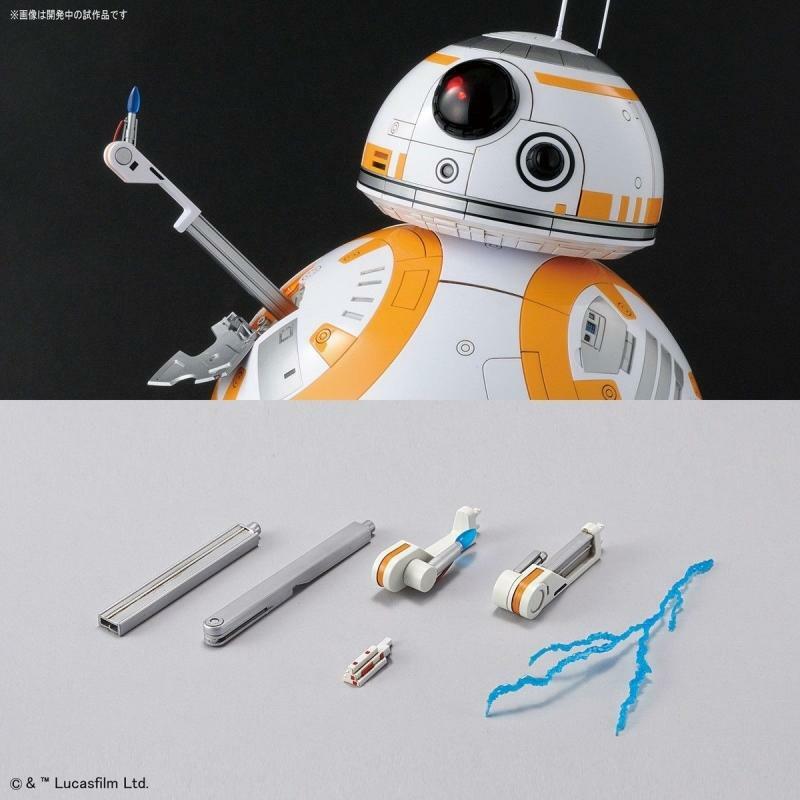 Multiple arms are included so you can display him shocking his enemies or approving of his friends, and a red LED unit is also included to reproduce his illuminated camera eye so you can display him just like any scene in the movie! 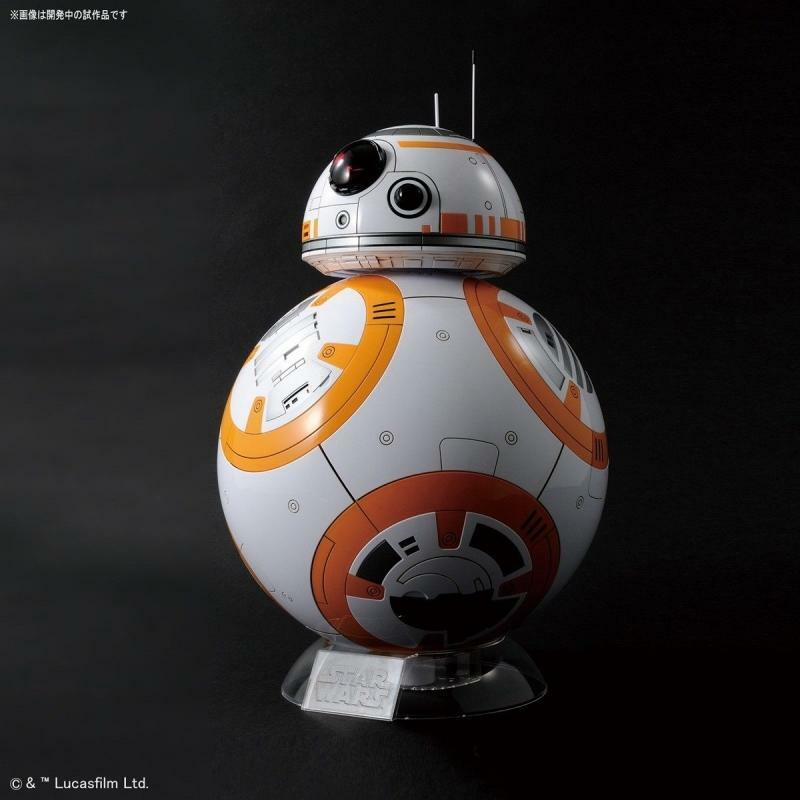 A display base is included so he doesn't roll away, so you can proudly display this foot-tall cutie anywhere you'd like!